One of the satisfying aspects of the NFL is that we can actually expect the unexpected and really like it being that way. If football ran like a train schedule, what would that do to fantasy? The answer is obvious. Last week, the quarterbacks had the spotlight. 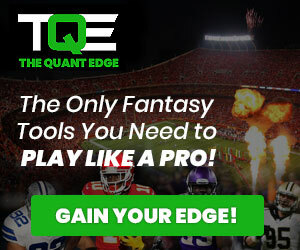 Six quarterbacks held the top positions in standard fantasy points in Week 2. Various quarterbacks tend to give good fantasy points on any given week, but six with 30+ and few others with well over 20 is quite satisfying for needy fantasy owners. After a week of bushy beards and acrobatic catches, it’s time to resume our magical mystery tour into Week 3. Who will steal the show this week? The last time the Rams started 3-0 was in 2001. The Steelers and Buccaneers last met on Monday Night Football in 2003. The Jaguars with a win would go 3-0 for the first time since 2004. The Patriots have won their last four meetings with the Lions. The Dolphins have lost their next game at home three straight times after defeating the Jets on the road. The Redskins have lost eight straight times following a game at home where they scored less than 10 points and rushed for less than 100 yards. Coming off a juicy victory against the Patriots in Week 2, the Jags look to gain a major advantage over a division rival struggling with injuries to their key players. The Titans are 25th in team offense after two weeks. The injuries might be part of that, but they still beat the Texans last week without Delanie Walker and Marcus Mariota, so what gives? Hard to say. After reviewing their games, they look better than 25th and closer to an average NFL team. Average, however, is not where this team should be despite it all. Just goes to show you, sometimes the team that looks good on paper, stays on the paper. As for the Jaguars and this game, they’ll likely pound away with Leonard Fournette and get back to opening up the passing game in this standard manner. Bortles has had a strong start to 2018 and the Jags appear more free-wheeling than we typically expect. It’ll take more convincing, but the direction is up, so let’s just accept that. I’m an Adoree Jackson fan. If he was on offense regularly, I’d want him on my team. Against the Texans, he outdueled DeAndre Hopkins for a touchdown pass and won. That’s not easy. The Titans tend to match him against the best, thus his job will no doubt focus mostly on Keelan Cole. Ahh yes, Keelan Cole. No one wants to come out and admit it, but I’m going to. He’s a WR1 in the making. I used to have my eye on Dede Westbrook, but after last season, Cole is the new stud on this team. What about the odds-on favorite for a tier jump in 2018, Corey Davis? Well, we know a breakout must happen because Delanie Walker is out. But when you’re up against Ramsay, Bouye, Church and Gipson, which I consider the best secondary in football, best to wait another week. These teams seem well outside the level of real playoff contenders after their opening games. 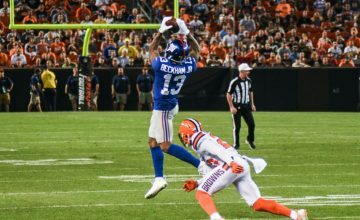 The Cowboys defeated the Giants at home last week, but the result didn’t seem convincing enough to elevate their status. The Seahawks revealed their weaknesses on the offensive line as evident with the six sacks of Russell Wilson in each of their first two games. When you pause for a second and realize the Cowboys sacked Eli Manning six times against a better Giants front, yikes! The Cowboys will pursue Wilson all day, force checkdowns and low percentage passes. The best chance for the Seahawks is that their own defense can force mistakes from Dak Prescott to gain the short field. I expect field goal exchanges as both teams struggle converting their red zone chances. Eventually, the game should start to open up in the late stages as the defenses wear down. I would look for more involvement in the passing game from Allen Hurns than we’ve seen from the Cowboys in their first two games. He has just five targets and two receptions to start the year. As for the Seahawks, I expect a heavy reliance on the tight ends and Brandon Marshall. Wilson will have to do much himself and as mentioned, with checkdowns to Chris Carson and Rashaad Penny. The load for Ezekiel Elliott should be heavy as usual to soften the Seattle defensive front. From a fantasy perspective, this matchup has the potential for a bonanza of points. The guy everyone is talking about is Kenny Golladay. He leads the Lions in receptions and is working his way into higher echelons. Golden Tate remains as Stafford’s workhorse, but Golladay has all but supplanted Marvin Jones as the number two receiver in Detroit. Another guy everyone is talking about is the recent acquisition of Josh Gordon by the Patriots. Talk about putting the cat amongst the pigeons. This move could really shake things up in New England. But no so fast. Gordon may not see the field in Detroit. It depends on his hamstring injury and how much of the playbook he can absorb in such a short time with the team. Also to consider is this. Brady likes to stick to his familiar chums and gradually work in the new faces. Most veteran quarterbacks are like Brady in this respect. Apart perhaps from Drew Brees, who loves to test drive everybody on the expressway. So if Gordon does play, I would lean toward more sips than gulps. The Lions will utilize their ground game almost as an obligatory gesture, with Theo Riddick in his usual role of Checkdown Charlie. I’m certain they’ll like to feed Kerryon Johnson, but the game script will determine his usage. That’s a cop-out forecast I suppose, but I’m just saying that if Johnson owners have to settle for goal-line carries, they’ll take it. Don’t forget, LeGarrette Blount could easily spoil that notion too. Sony Michel is the running back we’ll all have our eyes on. The first rounder should get plenty of work and the Patriots seem ready to open his rushing account in earnest. James White should see his workload more or less as it usually is, but it’s Rex Burkhead who appears on the outside looking in. Then again, with the Patriots, as most of you know, their backfield is fluid and not set in stone week-to-week. The bottom line to this game is obviously the duel between Matt Stafford and Tom Brady. Stafford will likely work the ball more against Eric Rowe and prefer to avoid receivers covered by Stefon Gilmore. Brady has to only be careful of Darius Slay and work the ball to Gronkowski. The Lions obviously scoured the video of the Jacksonville game to get some tips on neutralizing Gronk, but no matter what, Gronk will catch and Gronk will run. What a contrast in fortunes. If you looked at the schedule before the season, you might imagine this game as one the Bucs desperately needed and not the other way around. The Steelers have all the negatives a team could want going into this game. The Buccaneers look to start 3-0 for the first time since 2005. I guess the best way to describe the Steelers right now is sulky and grumpy. 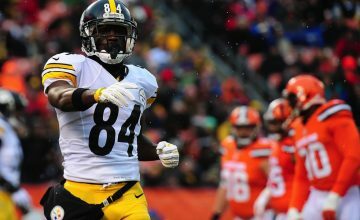 Le’Veon Bell continues his holdout and Antonio Brown had team disciplinary action put on him this week by Mike Tomlin. Worse yet, if they lose this game they’ll fall below the suddenly cheerful Browns in the AFC north. The Buccaneers, on the other hand, have the attitude all teams get while winning. A bit of swagger and the can-do spirit. Ryan Fitzpatrick, say what you will about his skill at quarterback, this guy is a team leader. Right now, the guy is riding a crest of good form with determined effort. Fitz also currently leads the league in passing yardage. His offensive line mixes beards with him (kinda weird), but it certainly indicates a comradeship going on here. DeSean Jackson is playing like his younger days. Mike Evans already has 17 receptions on the season. Chris Godwin looks flex-worthy with two touchdowns and even O.J. Howard is rising up. The only thing missing is a solid running game which continues to elude this team. Peyton Barber cannot seem to make much out of his opportunities and by the way if you want to know a secret – pssst… stash Ronald Jones if you have room. As for the Steelers, all they have to do is punch the clock and get on with it. 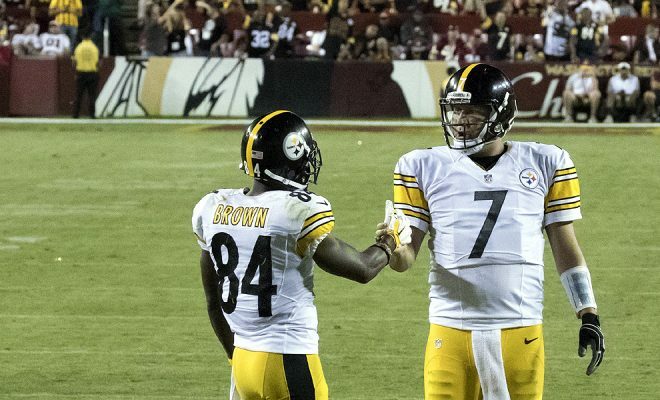 For all the difficulties on this team, Ben Roethlisberger comes to play football every week and I think you can count on him having a decent game. Look for James Conner to bounce back with a heavy workload rushing and receiving too. No predictions on this game, except for one. An offensive show. Wentz comes back this week, but the cupboard will look like someone forgot to go grocery shopping. Alshon Jeffery remains out and Mike Wallace ends his season on IR. Nelson Agholor and Zach Ertz will have to suffice and get all the targets they can handle. The Eagles did at least bring in Jordan Matthews off the street to help out. Cold comfort. A gashed backfield from injuries won’t help Wentz either. Wendell Smallwood might be the best back the Eagles have left. Mike McCarthy indicated this week that Jones is the third option in the backfield following his two-game suspension. This is probably true to start with. Jones has upside and definitely a higher level of talent than Jamaal Williams. This will always be a split backfield, but we need to start gauging the touch distribution closely from this game forward. Not sure yet if Gordon plays, but if he does, it would certainly make that Sunday night game more interesting. As I stated in the preview for the game, it all hinges on his readiness both physically and with the Patriots chalkboard. This is the first game where Bernard holds the fort for Joe Mixon. His performance is not just important for those who scooped him off waivers last week, but also how much Marvin Lewis decides to mix in Mark Walton. Week 3 and still no waiver rush. We’re at the point now with Doctson that a breakout may never come. Even if it does, how can we ever expect a trend? 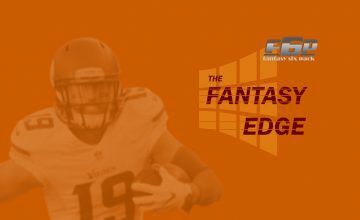 The fantasy book on Josh Doctson is almost complete. Thud.